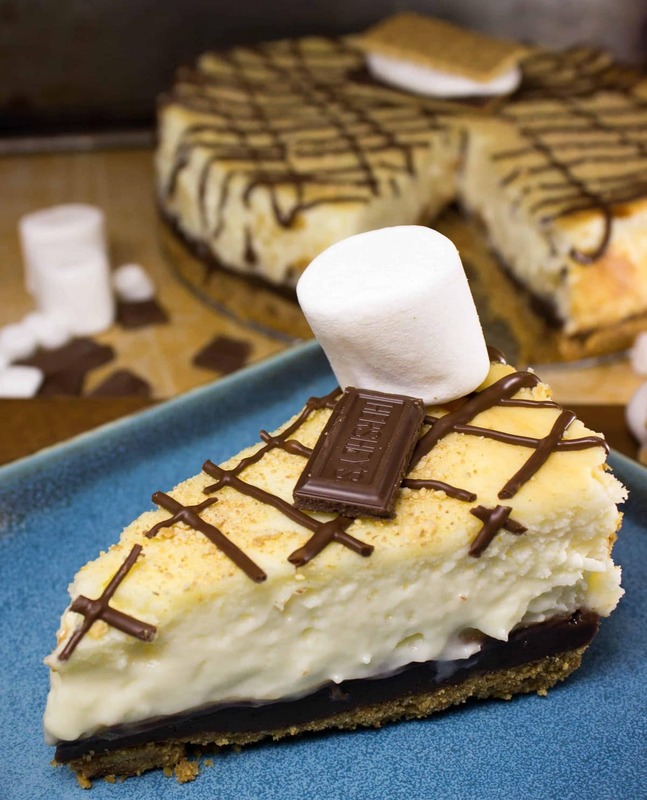 Sweet marshmallow cheesecake layered over milk chocolate ganache and a graham cracker crust. 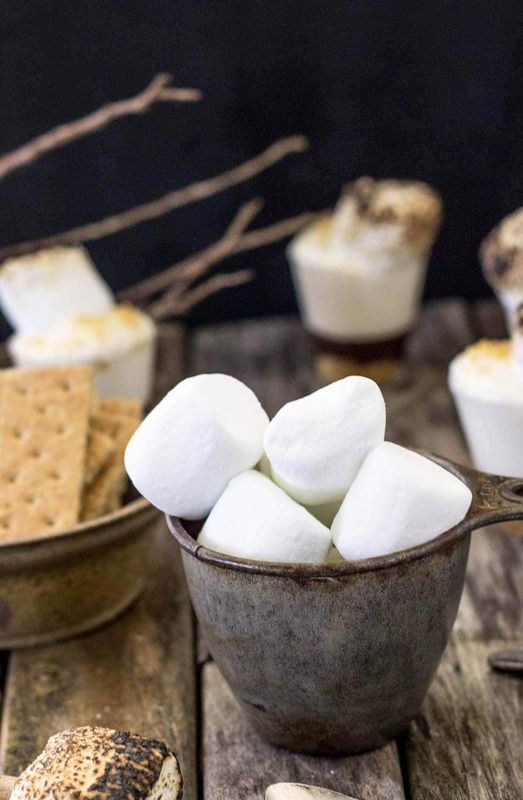 Topped with graham cracker crumbs and a toasted marshmallow, no campfire required! Evidently, by mentioning the fact that I was excited for less traffic on my way to work this summer, I jinxed it. Instead of less traffic, I got way, way more. Monday was supposed to be the first easy-breezy traffic day, but instead…. there was a water main break on one of the main roads parallel to the route that I take. Detouring traffic has been pouring non-stop into the highway and clogging up the ramps, and it’s taken me well over a (quite miserable) hour to get to work every day so far. Not at all what I was hoping for. 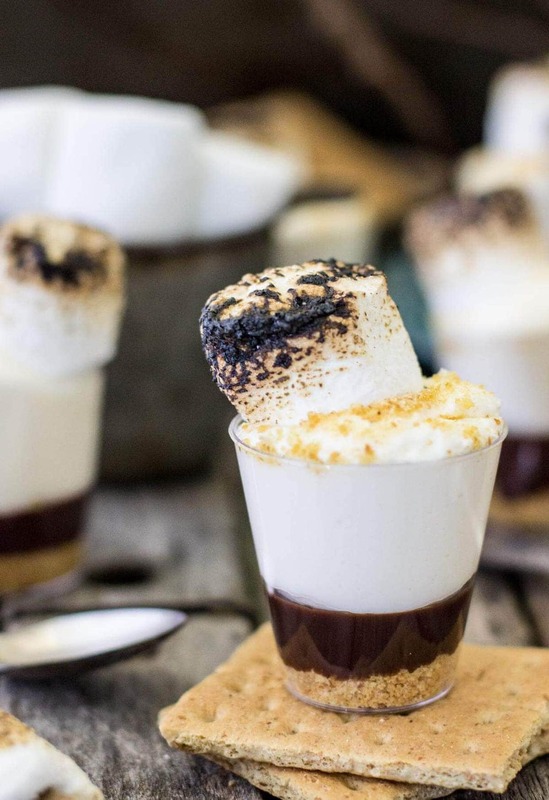 When I’m stuck in traffic, I try to think of only positive things — like all of the episodes of Walking Dead I have to binge on this weekend, the 3 new books lined up for me on my Kindle, and, most recently, these sweet s’mores dessert shooters that I have waiting for me in the fridge. 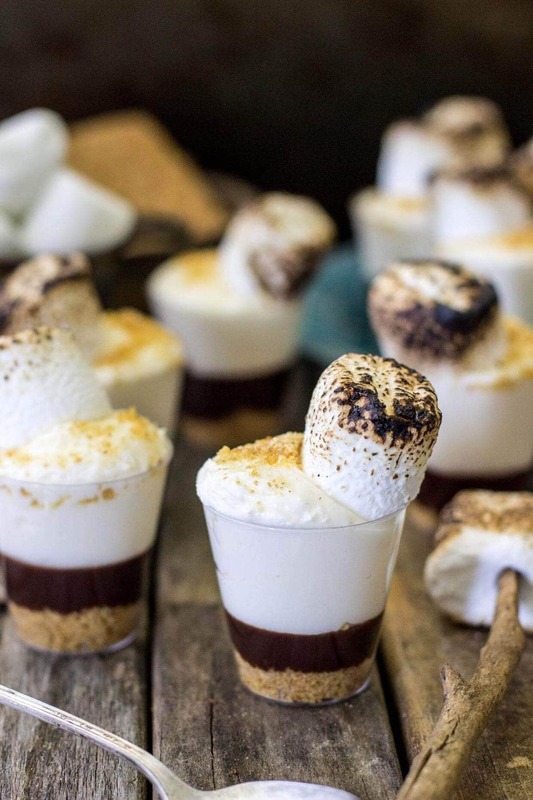 In case you haven’t gathered by the half dozen or so dessert shooters currently taking up real estate on my site, I’m a big fan of these miniature treats, sold in shot glasses. 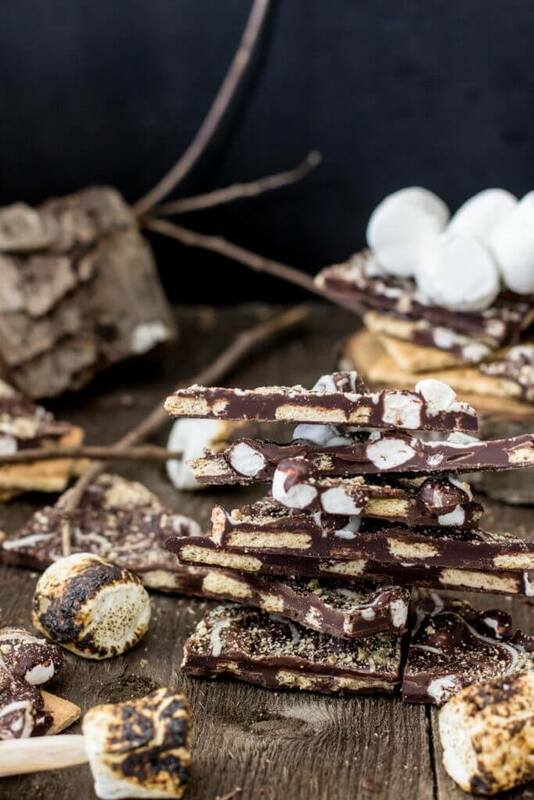 With campfire season upon us, I wanted to pay homage to one of my favorite, messiest outdoor treats. And of course, I added cheesecake. For the graham crackers, there’s a slightly sweetened graham cracker crust at the bottom of each shooter. For the chocolate, a milk chocolate ganache that takes only minutes to melt together on your stovetop. 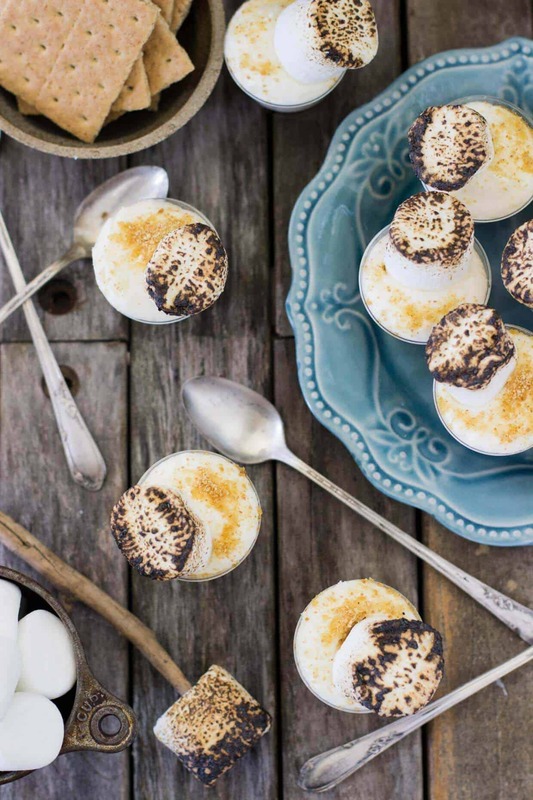 Then — for the marshmallow — A sweet marshmallow cheesecake, made with marshmallow fluff and whipped cream and topped with a toasted marshmallow (or, if you don’t have a campfire or culinary torch handy, just a regular marshmallow). These little guys are sweet. Almost to the point where I worried that they were too sweet, but my troupe of taste-testers assured me that they were perfect and that they should not under any circumstances be changed. So, I left the recipe as it was, but I strongly encourage you to do a lot of taste testing as you’re making the cheesecake (great excuse to swipe a few extra spoonfuls, right?). 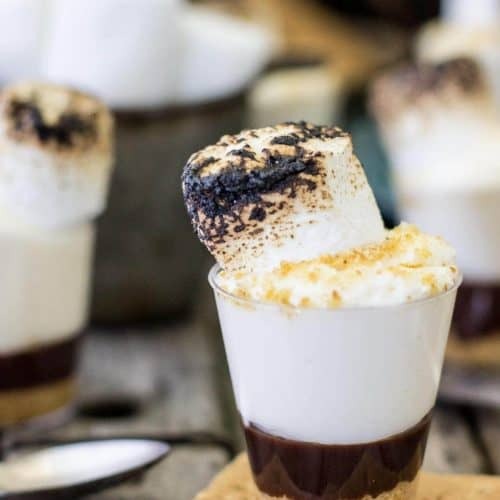 The recipe calls for 12 oz of Cool Whip (1 and a half 8 oz container), but once you’ve added the cool whip and stirred it well, make sure to do some sampling (if you can manage such a thing 😉 ). If it seems too sweet, go ahead and add up to the remaining half of the Cool Whip. This will make the cheesecake lighter and less rich (and will probably get you a few extra servings out of the deal). Enjoy (and does anyone know how long it takes to fix a water main break? Please tell me less than a week.)! This post may contain affiliate links, which means that if you purchase anything through these links I may get a small commission at no extra cost to you. Please view the disclosure policy for more information. I love the mini desserts! 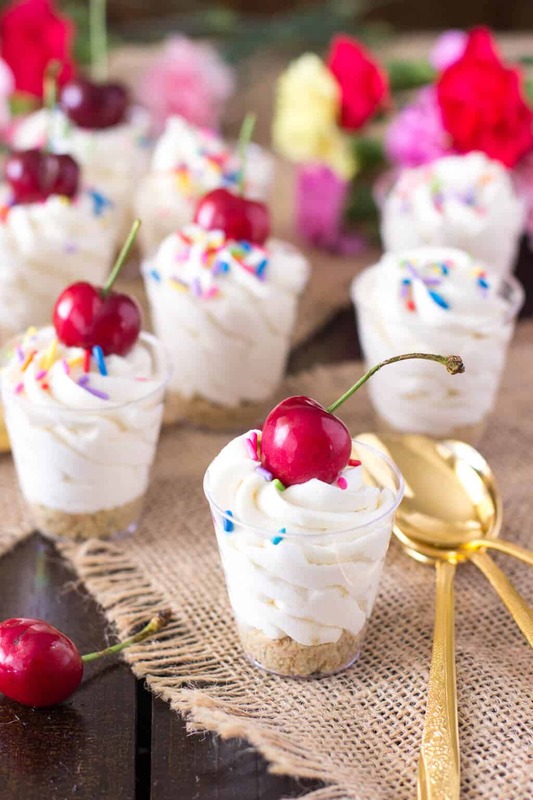 So adorable and fun, perfect for a party! These look so delicious!